LG has finally released UK pricing and availability details for its 2019 4K OLED TVs, but those who’ve been waiting for a bargain may be in for disappointment. Given that LG’s OLED TVs this year are essentially just incremental upgrades, some might have been hoping the company would make its products somewhat more affordable. Sadly that’s not the case, as LG’s 2019 OLED TVs are all priced very similarly to last year’s models. 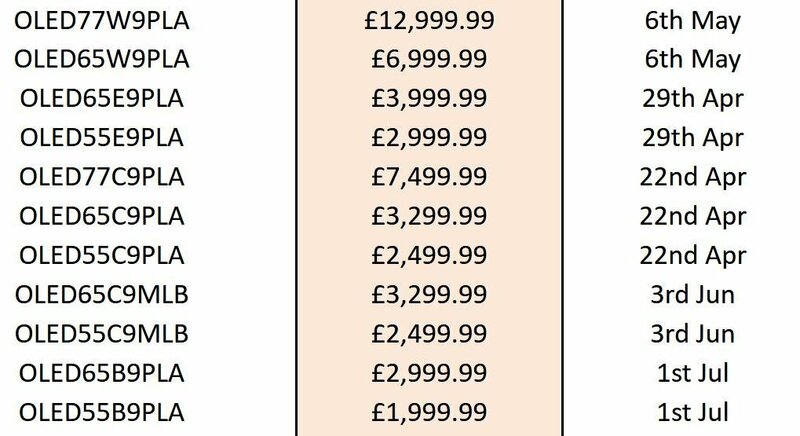 Top of the pile is LG’s high-end W9 series, which will be available in 77-inches and 65-inches and priced at a whopping £12,999.99 and £6,999.99 respectively when they go on sale on May 6th. LG’s C9 series might therefore be a more sensible proposition, with pricing starting at £7,499.99 for the largest 77-inch version. There are also 65-inch and 55-inch versions of what is still very much a top-of-the-range OLED TV, priced at £3,299.99 and £2,499.99. The C9 series will be available from April 22nd. 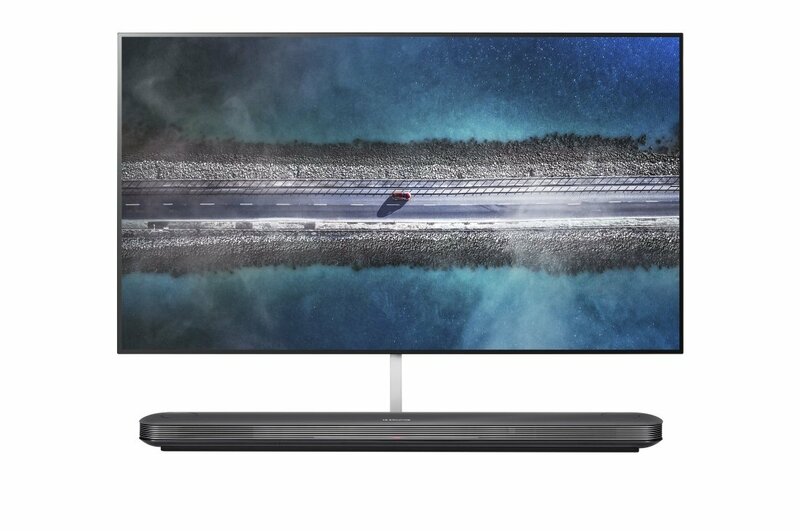 For those on a tighter budget, LG also has its B9 series, starting at £2,999.99 for the 65-inch version and £1,999.99 for the smaller 55-inch model. But anyone holding out for one of these will need to keep their cash burning a hole in their pocket for longer, as they won’t be hitting the stores until July 1st. LG will also sell its first 8K OLED TV, the Z9, later this year, but pricing and availability remains unannounced. We’re also still waiting for details of LG’s “rollable” OLED R9 TV. LG’s relatively high OLED prices are somewhat surprising given the mounting competition it faces from its arch-rival Samsung’s QLED TVs, which are premium LCD TVs with Quantum Dot technology that are said to be of similar quality. The company also faces competition from the likes of Panasonic, Philips and Sony, each of whom have launched their own impressive-looking OLED TVs. It’s not clear when those brands will announce UK pricing and availability, though we’re expecting to hear something in the coming weeks.